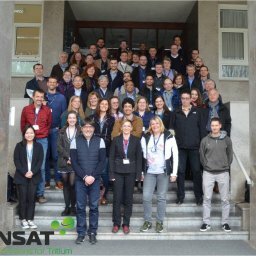 The first Tritium School organised by the TRANSAT project took place at the Jožef Stefan Institute, in Ljubljana (Slovenia), from 25-28 March 2019. After a warm welcome from Jadran Lenarčič (director of the JSI) and Christian Grisolia (coordinator of the TRANSAT project), experts in the field of fusion and fission from around the world participated and attended lectures on different topics related to tritium. In total, the first edition of the School gathered 66 participants who attended 17 invited lectures and 12 contributed talks. 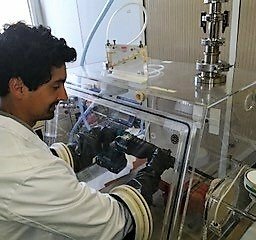 As talks were multidisciplinary and covering the different aspects of R&D in the field of tritium in fusion and fusion facilities, the School was aligned with the main objective of the TRANSAT project, that is considering “TRANSversal Actions for Tritium”. 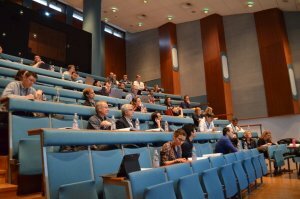 The first edition of the TRANSAT Tritium School counted 17 invited lectures and 12 contributed talks. Each day of the School was devoted to a specific topic starting with lectures from invited speakers who introduced the topic and research in this field before contributed talks. At the end of the day, a discussion session was organised. The first day was dedicated to tritium management and detection. 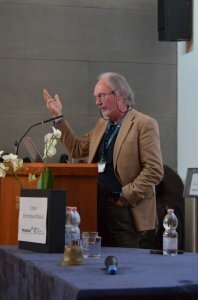 Attendees could learn more about tritium detection techniques, in what form tritium can be released from facilities, and how can we breed tritium in future fusion power plants. The second day focused on tritium inventory and control. Lectures dealt with tritium retention in fusion materials and how this can be modelled to predict tritium inventory and what kind of dust particles are produced in a fusion device. The third day was addressing questions related to radiotoxicity, ecotoxicity and dosimetry of tritium in organisms. Experts talked about the hazards for the environment, organisms and humans when getting in contact with tritium as a low radiotoxicity element. Overall, all the talks gave a comprehensive overview on the problematics of tritium as a radionuclide for organisms and the environment. The last day dealt with tritium waste and what are the French and UK strategies about tritium waste and how to process it. 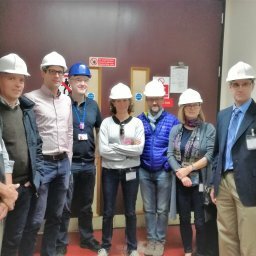 In addition, participants get the opportunity to visit the TRIGA reactor and the 2 MV tandetron accelerator at the Microanalytic centre. Richard Wakeford, from the University of Manchester, gave a presentation on “Epidemiological studies of tritium exposure”. Celebrating Days of Jožef Stefan! In parallel to the TRANSAT Tritium School, there were the Days of Jožef Stefan with interesting scientific and social program. Each year since 1993, the Institute organised the Days of Jožef Stefan at the end of March with the aim of popularising science and celebrating the birth of Jožef Stefan who were a famous Slovenian physicist (1835-1893). 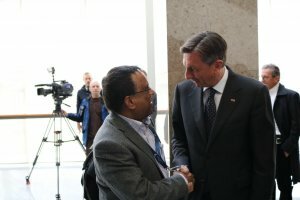 Borut Pahor, President of Slovenia, officially opened the celebrations on 25th of March. This year was also the 70th anniversary of the Institute. Awadhesh Jha (invited speaker at the TRANSAT Tritium School) and Borut Pahor (President of Slovenia) during the Stefan’s days. Post written by Sabina Markelj from the Jozef Stefan Institute and TRANSAT partner.